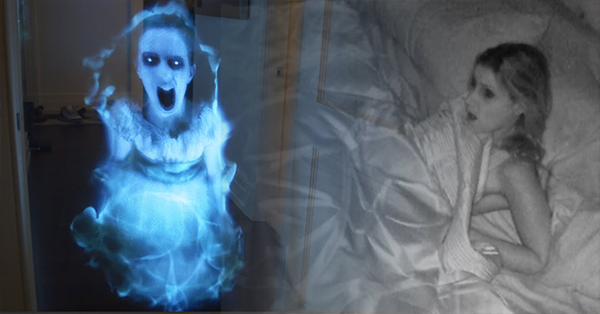 SHOCKING: Her Boyfriend Made A Hologram Ghost Prank, Watch What The Girlfriend Did After! Pranks are all over social media today. You can watch it on YouTube, and sometimes on the Facebook page. There are good pranks that tested the behavior of others and can teach you a lesson. Some are practical jokes that create great laughs to all the viewers. But this one is very different. The boyfriend exerted too much effort that he made a hologram ghost prank for her girlfriend. At first, the girlfriend didn't pay so much attention on the first appearance of the hologram ghost and just covered her face with the blanket. But at her second look. She shouted and frightened with the prank.